Attack on Titan isn’t one to waste time on character backstories, but there are some characters the series cannot ignore. 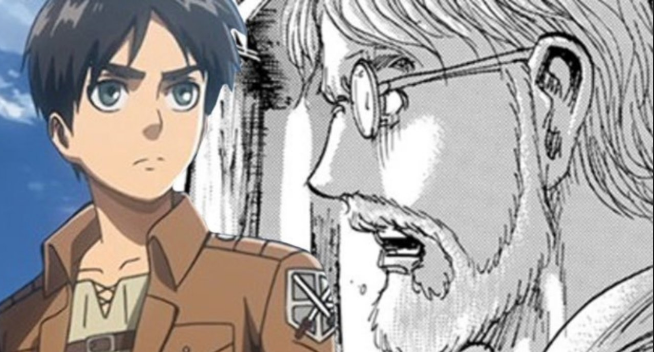 Eren Jaeger has looked back on his past quite often, but he isn’t the only one to do so.After all, Attack on Titan is about to explore another Jaeger backstory, and it will likely make fans feel all the feels. Recently, the new chapter of Attack on Titan went live, and it was there fans met up with Zeke in all his double-crossing glory. The soldier ended up going back on Levi and his promise of goodwill to Paradis. Having allied with Eren’s coup, Zeke ran from his prison after turning dozens of guards into Titans, but he was caught by Levi in the end. As the chapter closes, fans are met with a gruesome scene where Zeke is being tortured. Levi has little sympathy for the man as he caused the death of all his subordinates, but Zeke tries to keep calm. It is only in the end the man asks a question, and Zeke is more concerned about his glasses than anything else. Levi doesn’t care about the glasses at all, but it seems they are closely tied to Zeke’s past. After asking about the glasses, Zeke begins thinking back to his childhood when he played catch with his mentor. The chapter ends before fans can find out more about Zeke, but they do get a good look at the little boy. The shifter has yet to inherit his glasses at this age, but his curled hair is hard to mistake. Now, fans are looking forward to learning more about the fighter, but it comes with a bittersweet feeling. After all, it looks like Zeke will be dying soon at Levi’s hand, and it will take serious intervention to keep the man alive.